So now that you've got a peak at the outside of my Oldest's little 10x10 album I bet you are itching to see what is inside! I know my mother-in-law in Iowa has been waiting patiently to see his little list. So today I am going to walk you through the album I have all set up and ready to go! 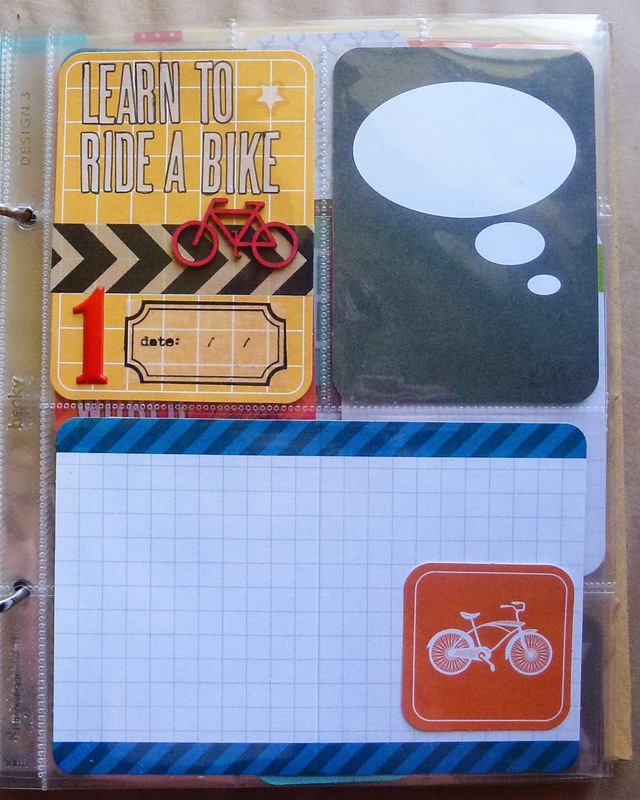 I love to do a lot of the work ahead for mini books, so that I can easily put it together once I have pictures. It gives me a nice foundation to build off of, and it makes jotting down the facts in real time so much easier! 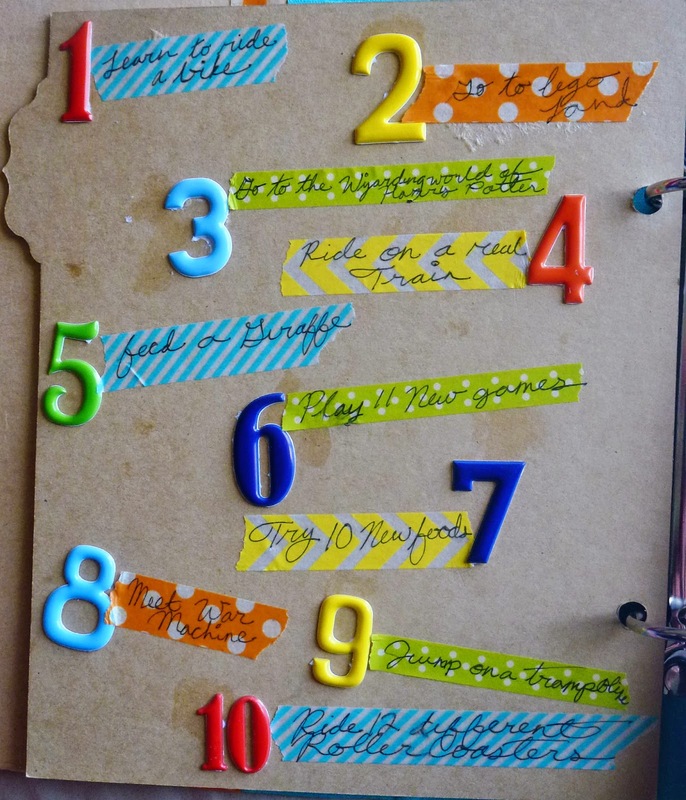 It can be hard to remember the facts about a certain experience months later when you have the time to "scrapbook", but if you set it up ahead it can make a world of a difference! I love to "scrapbook the future"! This first page is one of the dividers that came with the Simple Stories SN@P album. I wanted to have something pretty to look at when you opened the book, so I decided to make a mini scrapbook page right on the divider. The idea for this page actually comes from not one, not two, but three challenges from the Scrappy Friends! 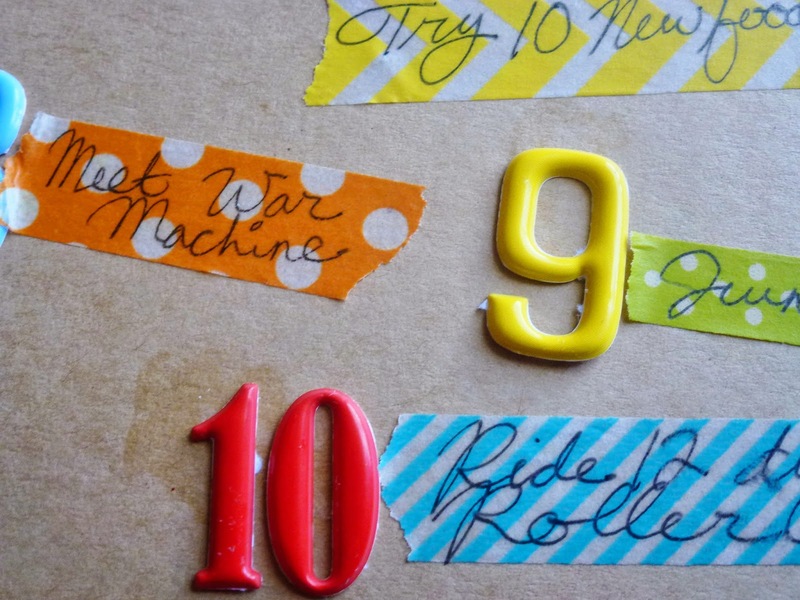 I used this sketch challenge from Grand Diva's Scrappy Place, a word challenge from the Creating With Paper and More blog, and a tic-tac toe challenge from Rochelle Spears. 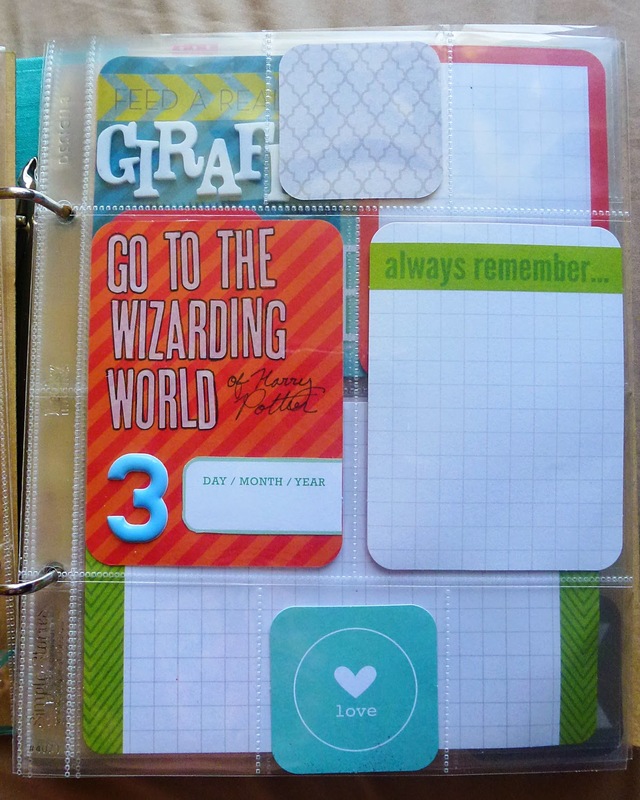 I Chose the word "Adventure" for the word challenge, and the bottom row of a journal card, wood, and stamping for the tic-tac toe challenge. 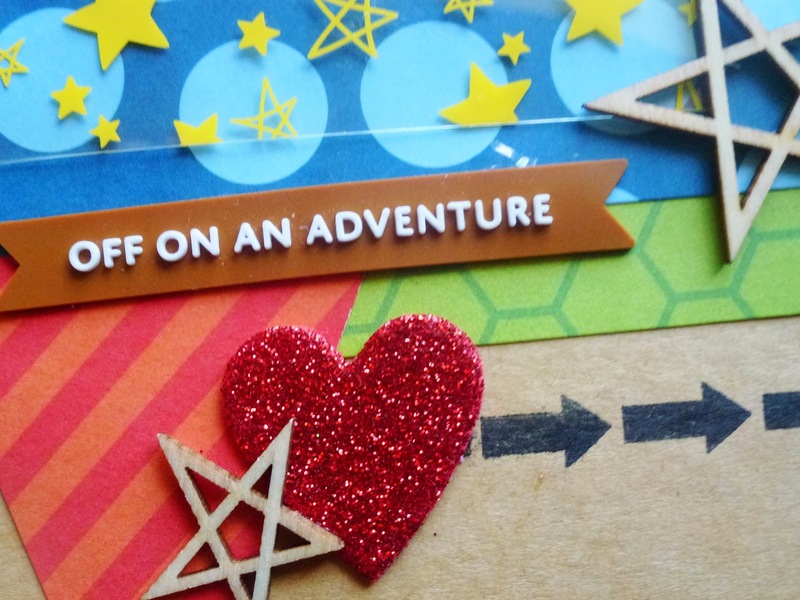 I incorporated the word with a cute little rubber banner from Freckled Fawn's Oh Deer Me Kit for March. I stamped a row of arrows from the Teresa Collins He said She Said line, as well as a "you are here" stamp from the same set on a cork banner for the stamping. The wood I incorporated through primitive wood veneer stars from Studio Calico. And the journal card I cut in half and put in the bottom corner for a little note about how excited I am for this project with Ryan. 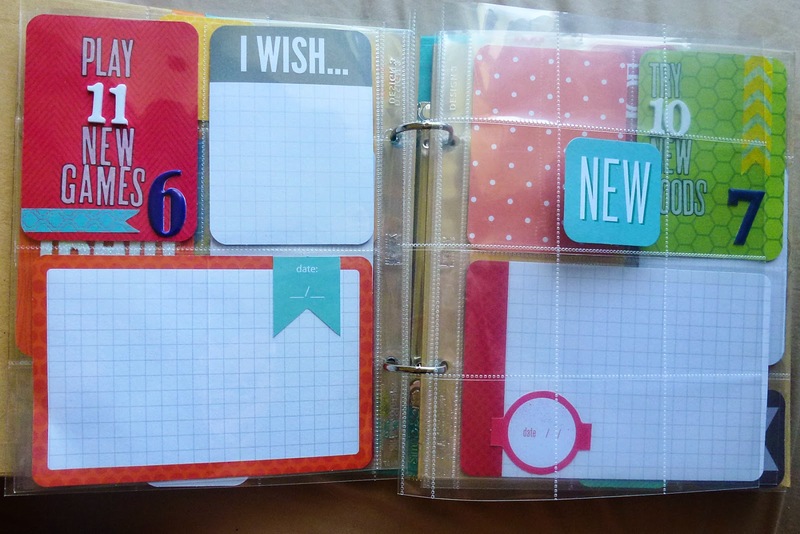 All the patterned paper pieces are also from journal cards! They come from the Slate and Jade project life editions. I cut them down to use on my little layout. They really are so versatile! I left a space for a photo on top of the overlay. I haven't picked just the right one for it yet. I really want it to capture Ryan's adventurous spirit, and nothing has spoken to me yet. I love that it is a mix of big and little things, hard and easy things, "so Ryan" things and completely unexpected things. I know I am going to cherish the moments spent fulfilling this list! The rest of the album I filled with various page protectors from Simple stories SN@P line and various journal cards from the Slate, Honey, Jade, and Just Add Color Editions of Project Life. I left some places blank so I can slide photos in later, and there is plenty of room for journaling and embellishments as I go. I made sure each goal had a place to write the date we completed it. We've already crossed one thing off his list, and I can't wait to finish that page! This album is for sure an ongoing project, and I plan to make a blog post when we complete each thing on his list telling about the experience and showing the completed page in his album. I've got another 10x10 list project brewing as well! My four year old has made his own list! I've got another SN@P album just sitting waiting to be created! 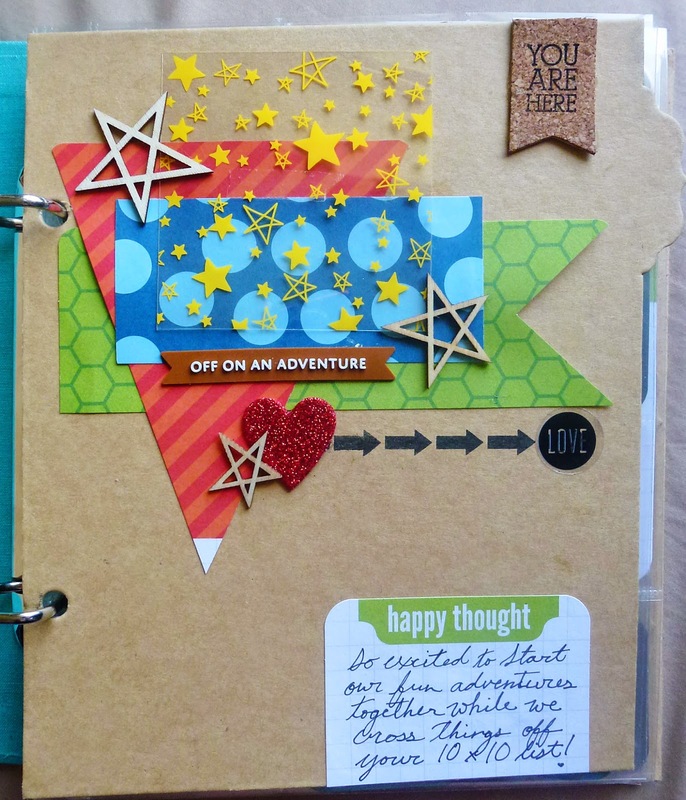 Hoping to work on it some on National Scrapbooking Day this Saturday, May 3rd! What a fun take on the Scrappy Friends challenges! Thank you so much for playing along with us this month! Can't wait to see the other one too! This one has some ambitious things on his list! Glad he got to start early, though; it will encourage him.